« Fujifilm X-H1 Too Big or Just Right? “In cinema, there are the transition of time, the movement of performers, and the sounds and voices. 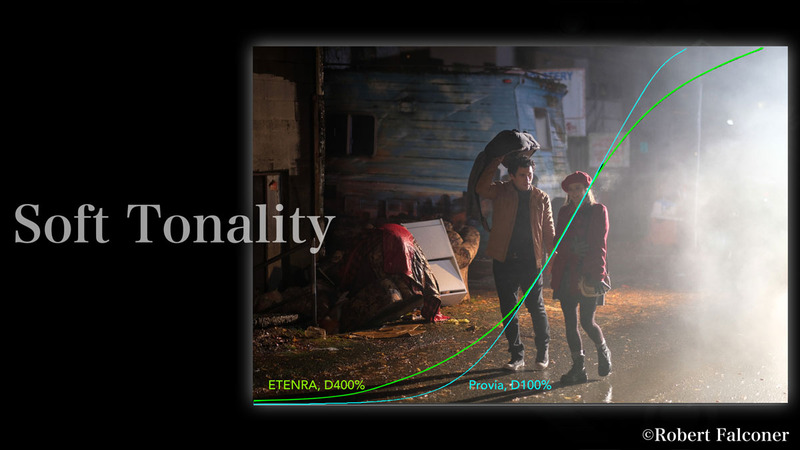 The image designing in cinema should complement all these elements to create a seamless flow. If the cinematic image design were completed in each frame in the same way as the photographic expression with enhanced colors, then the flow would not be so smooth. ETERNA is designed to have 12 stops of dynamic range like F-log and to give a cinematic film look, but with less work, so you can shoot a high-quality motion picture quickly. This also leaves room for post-production. We take the same approach to achieve the cinema look, but in the opposite direction. 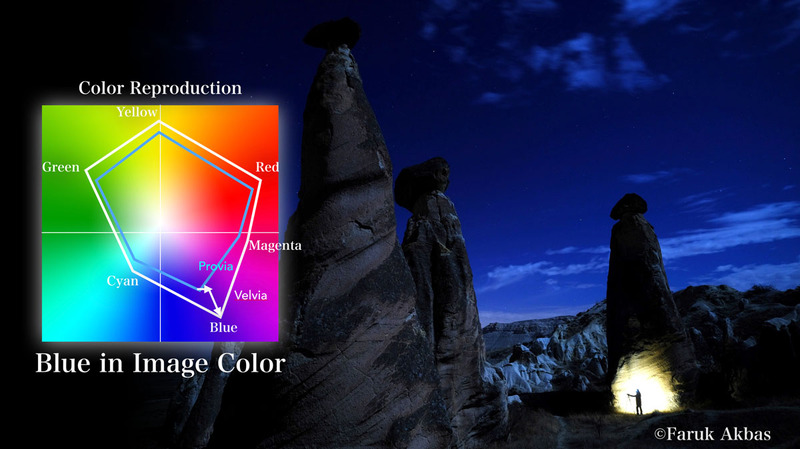 The saturation is suppressed and is slightly adjusted on each key color. 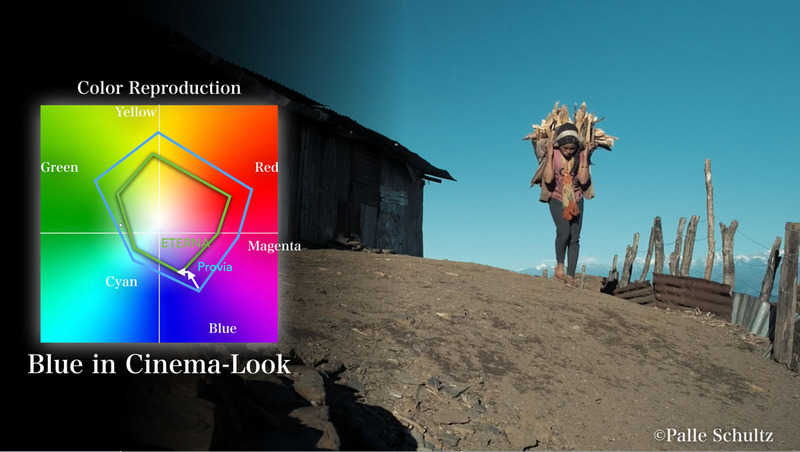 A touch of magenta was added on blue to achieve the image color, but to achieve the cinema look, the color is shifted toward cyan. The blue sky in the background will then complement the story. The cinema look is like an art of omission. I personally love Fujifilm’s color science and the only film type I shot more than Fujifilm growing up was Kodachrome, which I hope someone brings back someday. X-H1 Development Story #4 -Film Simulation ETERNA- is an interesting look at color science, but I wish they would have gotten into the weeds a little bit more about the limits of how much this simulation can be manipulated since it’s designed to be graded like F-log. It won’t have the rang of an F-log file obviously, but many have worked wonders with this kind of footage. 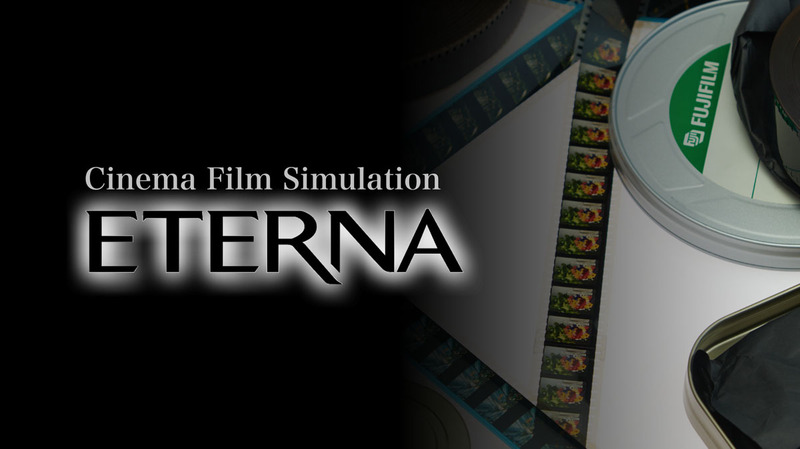 ETERNA and internal F-log might convince photographers to get more into video/film again if they had any kind of background in video/film/TV production. I actually used to really enjoy the madness that was linear film/video editing before non-linear editing showed up. It’s just a very different kind of work and it started to turn me off before non-linear editing took off.